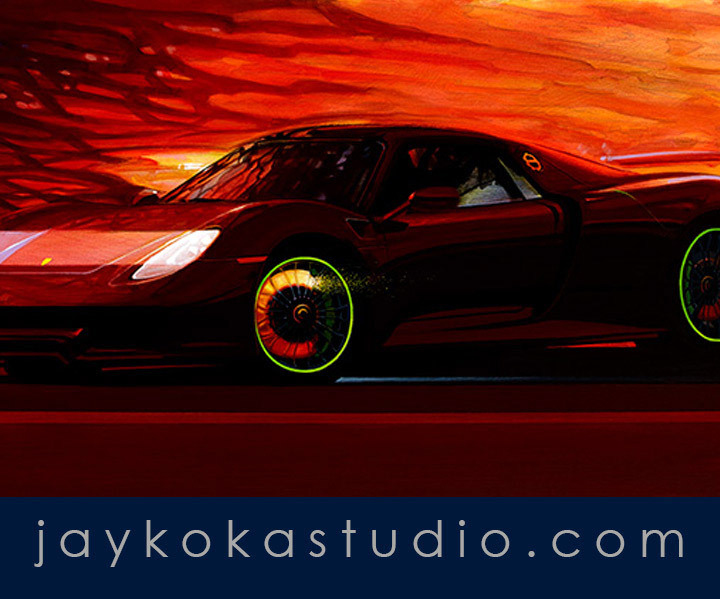 The Automotive Fine Arts Society call for applications closed in November and the 2019 Guest Artist(s) will be announced in the March issue. Hendrik Mueller is one of the 2018 Associate Members and we have a brief profile on his work. »Hendrik Mueller Others will be reviewed in upcoming issues. The update issue of the DETOURS column is particularly interesting this month. First, a full report from sculptor Larry Braun on a major project that has kept him occupied for a few years and a quick review of Blaine Casson's exceptional sign work...you won't be disappointed. We continue our coverage of people and events in the regular DETOURS column. Although it's not an "art" story in the strictest sense, the 70th anniversary of Porsche presents us with an opportunity to have a look at the iconic 356. Rob Alen gives us an affectionate look at a car that launched a thousand illustrations. I met Rob at the Retromobile show in Paris earlier this year and solicited his participation as a contributor. I look forward to more of his insightful commentary in coming issues. Don't forget to have a look at the updated » Art For Sale for work being offered by private collectors. I am really pleased that earlier this year I was accepted as a member of Artist Auto, the European-based international art group. I look forward to attending Retromobile which is the exciting venue for the major annual group show... Paris, France, in early February. A report will follow in the March issue. Finally, our "update" issues in December last year and June just past were well received so we plan to continue with an update in December. Watch for it or better still, sign up for » automatic issue notification. We do not sell, lend or rent our mailing list so sign up with confidence that you will not be spamed to death.